1. Design of Policy Instruments for the Global Commons: Well-thought policies can provide the right incentives to prevent the overuse of natural commons as well as the underprovision of social commons. We will analyze the effectiveness, fairness and economic efficiency of different types of policy instruments, such as carbon prices, subsidies or land taxes, among others. Informed by empirical research, we will also examine which (institutional and administrative) conditions are required for their successful implementation. 2. Inequality, Distribution and Redistribution: Policy instruments do not only affect the use of global commons but influence the distribution of income and wealth. This, in turn, may compromise social progress and normative goals but also influence support and feasibility in social and political decision making. More generally, high inequality and in particular poverty may become an obstacle to policies, such that lowering inequality becomes a prerequisite. We take into account the theoretical mechanisms of how specific policies affect different income groups and provide empirical applications. We also examine the impact of transfers within and across countries and their effectiveness on reducing poverty and inequality, while increasing the provision of natural commons. 3. The Political Economy of Managing the Global Commons: The effectiveness, credibility and robustness of policies can be severely impacted by political constraints. Affected stakeholders, for instance, can use their political influence to either block or promote the introduction of certain policies. The political economy analyses will include broader social aspects and processes that are relevant for policymaking, like the role of social norms, identity, or polarization and fractionalization of societies. 4. Private Finance and Capital Markets: Financing decisions by the private sector crucially determine the supply of capital for sustainable socio-economic development. For this reason, we analyze the role of financial market failures as potential obstacles to the sustainable redirection of investment flows. We aim for a better understanding of incentive and information problems in capital market to assess how they limit the transformative effect of carbon pricing. Based on such assessments,, we identify policies to overcome these frictions and improve private sector involvement (e.g. by means of de-risking instruments and financial regulation). 5. Public finance and green fiscal reforms: A focus is also the analysis of fiscal systems and governmental capacity to cope with climate damages or disasters. We focus on national, supranational and international fiscal policies and transfers or insurance schemes to secure sustainability. We examine the budgetary implications of policies for the sustainable management of the global commons. These include revenue generation from market-based environmental policies (such as taxes or auctioned permits) as well as spending needs (e.g. to support low-carbon technologies, but also to invest in social infrastructure). The research undertaken within the Future Lab will be embedded in a welfare-theoretic approach that acknowledges the multi-dimensional nature of human well-being and environmental sustainability. As a consequence, our results will help to assess trade-offs and synergies between multiple policy objectives and hence make a valuable contribution to establish science as “map making” for policy makers. FINFAIL (Financial market failures, investor behavior, and their implications for climate policy). 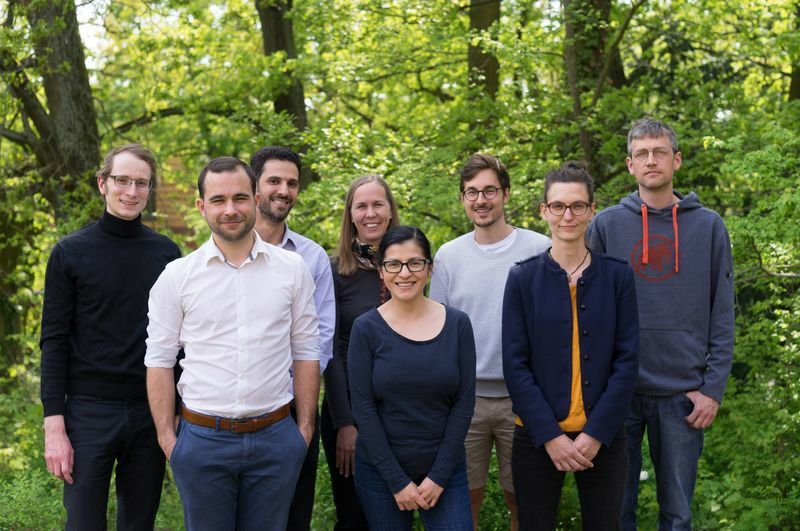 BMBF funded research group as part of Nachwuchsgruppen Globaler Wandel – 4 + 1. KLIF (Integrierte Finanz- und Klimapolitik: Handlungsspielräume für Nationalstaaten unter Wettbewerbsdruck). DFG funded joint project with TU Berlin's Public and Health Economics. CAPRI-SD (Carbon Pricing and Sustainable Development). Joint project with working groups Climate and Development and Governance of MCC, funded by GIZ's Sektorvorhaben Klima in cooperation with BMZ. Role of PI group: project lead. CREW (Climate Policy in a Reluctant World, BMBF Förderschwerpunkt "Ökonomie des Klimawandels"). Joint project with Marco Runkel (TU Berlin) and Roland Strausz (HU Berlin). Role of PI group: project lead. ENTRACTE (Economic iNsTRuments to Achieve Climate Targets in Europe), project under EU FP7 ENV. Joint project coordinated by ZEW with various European partners, e.g. FEEM, LSE Grantham Institute, FCO, Tilburg. Role of PI group: leader of Work Package 5, contributor to Work Package 2.
emission control Strategies), project under EU FP7 ENV. Joint project with various European partners, e.g. FEEM, IIASA, LSE Grantham Institute, ECN. Role of PI group: contribution to Work Package 2, in particular "Regional policies under second-best conditions". EntDekEn (Klimaschutz, Entwicklung und Gerechtigkeit: Dekarbonisierung in Entwicklungs- und Schwellenländern), funded by BMBF. Joint project with the GIGA institute and the Chair of Development Economics at University of Göttingen. Role of PI group: project lead. Ökonomik einer integrierten und langfristigen Klima- und Energiepolitik (WGL Pakt für Forschung und Innovation 2010). Joint project with Environmental Economics group of ZEW Mannheim. Role of PI group: contributing partner.